The Moore Balance Brace is a long term solution for people who need support when walking or are fearful of falling while walking. The brace can make you feel confident in the way you walk, prevent you from falling, and improve the quality of your life. Also, this is a custom made ankle foot orthosis that accommodates most supportive shoes. It is lightweight and easy tp put on by yourself. 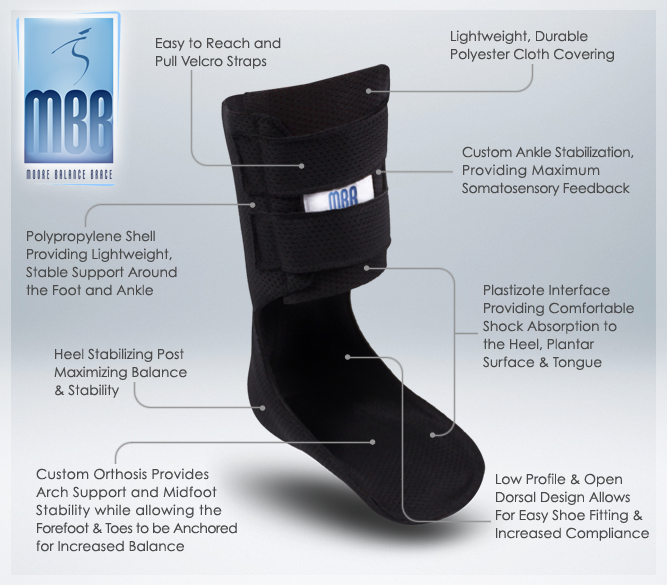 The Moore Balance Brace gives people back their independence and allows them to live without fear of falling. To make an appointment in our office to be custom fitted for the Moore Balance Brace and to learn how it can give you back your life, click here.